1997.Without plans, the Pag-asa that we are now was started when the seminarians staying in the Focolare for a year occasionally visited the neighboring villages to share old clothes, shoes, medicines, and candies. With only a handful of volunteers and the seminarians, and a desire to love and share what little material things we had, Pag-asa was born in a humble small stock room of the Focolare carpentry shop. This simple act of love didn’t go unnoticed. Our friends and visitors started sharing too. It did not always come in the form of money. Some shared their time, their talent, and even their simple smile and ears to listen and cheer an ailing or gloomy neighbor. Our seminarian volunteers noticed the children fetching water (Focolare was one of the very few houses who had water connection that time), so they summoned them and taught them how to read, write and do simple arithmetic. To the older children they gave catechism lessons. The mothers of the children, on their part, cooked snacks for the children after each tutorial and catechism session. To sustain the expenses in making snacks, the mothers thought of making pickled papaya, coco jam, and peanut butter to sell. This has been the norm of Pag-asa ever since: we give them something, and they give back in return. This way we do not rob them of their dignity and self-worth. People visiting Pag-asa buy these products, therefore putting money in their pockets, giving them dignity for their hard work. With nothing but a desire to love and share, we have started 5 different programs almost simultaneously for 17 children and 12 families: Tutorial, Spiritual Formation, Livelihood, Support at a Distance, and Rummage Sale. 1998. Foreign visitors started coming as we opened a Discounts Store and introduced new programs: Health Care Program, Daily Supplemental Feeding Program, and Sacrament Assistance Program. Then we turned the stockroom into two Daycare classrooms with 40 children enrolled and built a big playground for them. 2000. Chiara Lubich, foundress of the Focolare Movement, gave us the name Pag-asa, precisely so that we may become more and more a source of “hope for a new life”. Simultaneously we organized our very first Medical Mission. 2001. Since only the mothers were always coming to Pag-asa, we organized separate meetings for the fathers on a weekend once a month because they are busy working during the weekdays. 2002. We introduced a regular meeting with both the parents discussing timely topics: health, family relationships, disaster management, how to become a responsible voter during the election, among many other things. 2003. More programs were added as we started our 1st Housing Project (with 2 houses built), and an annual training of teachers with the Community of Learners Foundation in order to give the best education to our children. Then another livelihood was added: The Favola T-shirt printing. 2004.The ownership of Pag-asa building was officially signed. Renovations immediately followed according to our projects’ needs. 2005. The entire building was finally paid in full, with the help of donations both local and foreign. Renovations continued as we converted our kitchen into a beautiful Dental Clinic. Our new logo was created. The rising sun symbolizes our vision of hope for the poor, and its “embracing arms”, our desire to build a family with them “so that all may be one”. 2006. A facility was added: Library & Computer Learning Center, and two more programs added: College Scholarship Program (with 20 students), and the Annual Accident and Health Insurance for each child member of Pag-asa. 2007. We have finally registered with the Securities and Exchange Commission (SEC). Then we were blessed to be part of the New Families’ Housing Project: One Family, One Home (in collaboration with “Ray of Light”). Five of our families took ownership. More programs were offered to our beneficiaries: Guitar, choir, and art lessons; Physical Therapy Program. 2008. To live out our mission, we started organizing a Family Day Event once every year. We started the dance lesson workshop and a basketball court was constructed for the sports minded children. 2009.A Pediatrician & a Gynecologist volunteered to come in on a regular basis. Then we partnered with other foundations and institutions in organizing medical activities like circumcision and bloodletting. To be more useful, we converted an office into a small Medical Clinic and our receiving room into a Conference Room. 2010. After three years, our theater group was formed and named: Teatro Pag-asa. 2011. We met with barangay officials to discuss poverty alleviation, among many other things. 2012. More livelihood programs were introduced: Massage Therapy, Cattle Fattening, Hog Growing, and Poultry. 2013. We were finally accredited by the Department of Social Welfare and Development (DSWD) as a Social Welfare and Development Agency implementing Community-Based Services to Disadvantaged Child/Youth, Families and Communities, and accredited by the Bureau of Internal Revenue (BIR) as a Donee Institution. Then we started meeting annually with 10 other social centers of the Focolare Movement in the Philippines to exchange ideas, share knowledge, and learn from the mistakes of others in order to give only the best services to our beneficiaries. 2014. We started a multi-purpose cooperative in order to teach our family members that with unity and common vision, they too, can start their own business even with very small capital, and therefore support themselves when struck by financial problems. 2015. Additional accreditations were acquired: PCNC (Philippine Council for NGO Certification) and our Community Based Skills Development Program. 2016. The final accreditation that we need was acquired: Civil Society Organization (CSO) by the DSWD. 2017. With Azione Famiglie Nuove, we started Support Of a Project for those sponsors who support Pag-asa in general and not a specific child. Another livelihood added: Bracelet Making and BREAD Bakery. As Pag-asa grew bigger, we had to identify what specific help we can extend to the neighboring communities. We are aware that every city has distinctive poverty problems. 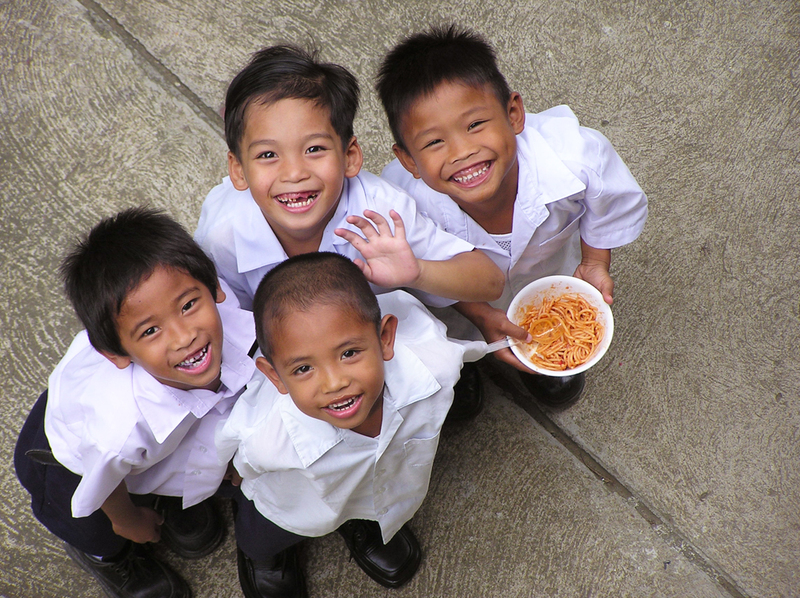 Tagaytay, in particular, has a big number of children whose poverty problems, when their roots are analyzed, can be traced back to their parents and their grandparents, and even their great grandparents. They are born of parents who, for one reason or another, had reached only a few years in elementary school, which resulted in their ending up as laborers and laundrywomen among many other blue collar and UNSTABLE jobs and still, because of lack of education, they are the ones who bear plenty of offspring, who, after sometime, will have the same fate as they had: Not being able to study because their parents’ combined income are not even enough for food expenses in most cases. On one hand, those who study are often forced to be absent from school many times when their parents lack budget for their transportation fare and lunch. In the end, they quit schooling, find jobs to help the family, and then have a family of their own at times even in their teen age years to “escape” from their miserable condition. THIS MADE US ASKED OURSELVES “IS THERE HOPE FOR THESE CHILDREN?” We guess there is, our statistics show that there is… DISASTER RELIEF & REHABILITATION Although not a regular program, we have helped greatly in this matter during the typhoon Glenda. In the face of typhoon Glenda that had devastating effect to our families in 2006 and many other typhoons that followed, we partnered with the Rotary Club of Papenburg and other individuals to send help where aid was needed. P200,000 worth of resources were mobilized through our partners. 150 affected families were assisted. Aside from the emergency assistance, the Pag-asa Social Center Foundation, Inc. has served 620 families in 8 areas through an estimated P160 million worth of projects in 20 years. LIVELIHOODA total of P2.5 million worth of resources were mobilized to provide 420 indigent families with assets and better livelihood opportunities.